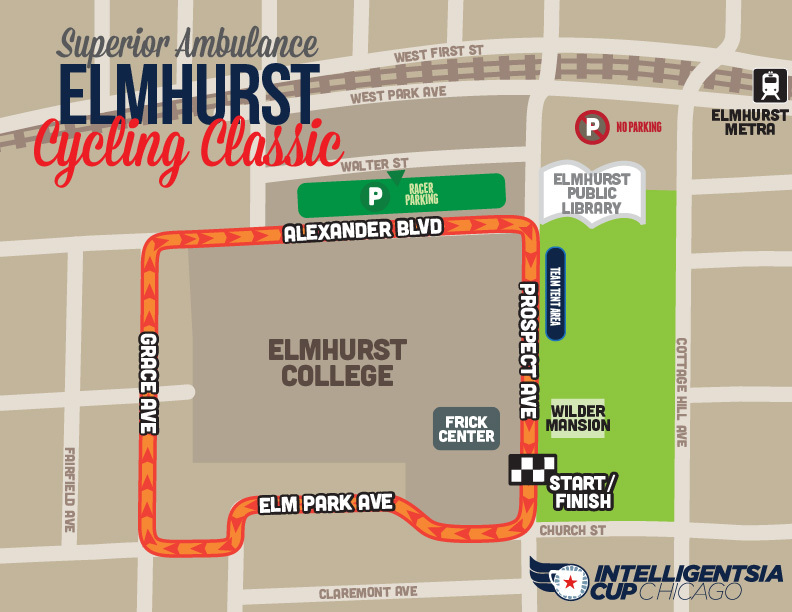 Back for the seventh year, the Superior Ambulance Elmhurst Cycling Classic is a crowd favorite! There is plenty of racer parking located in the parking lot along the north side of the course, accessible via Walter Ave. Please do not parking in the library lot and respect posted no parking signs.